In 2019, we are looking to expand our board! 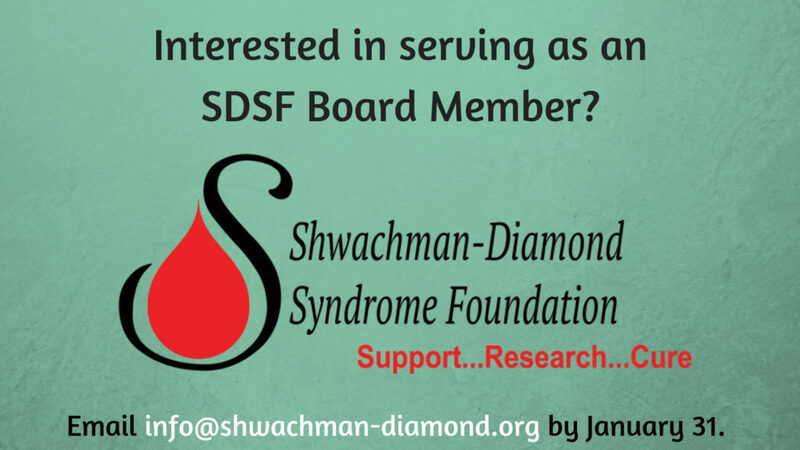 If you are interested in joining us, email us at info@shwachman-diamond.org. Tell us what you would be interested in doing and how you can help! Deadline – January 31st.